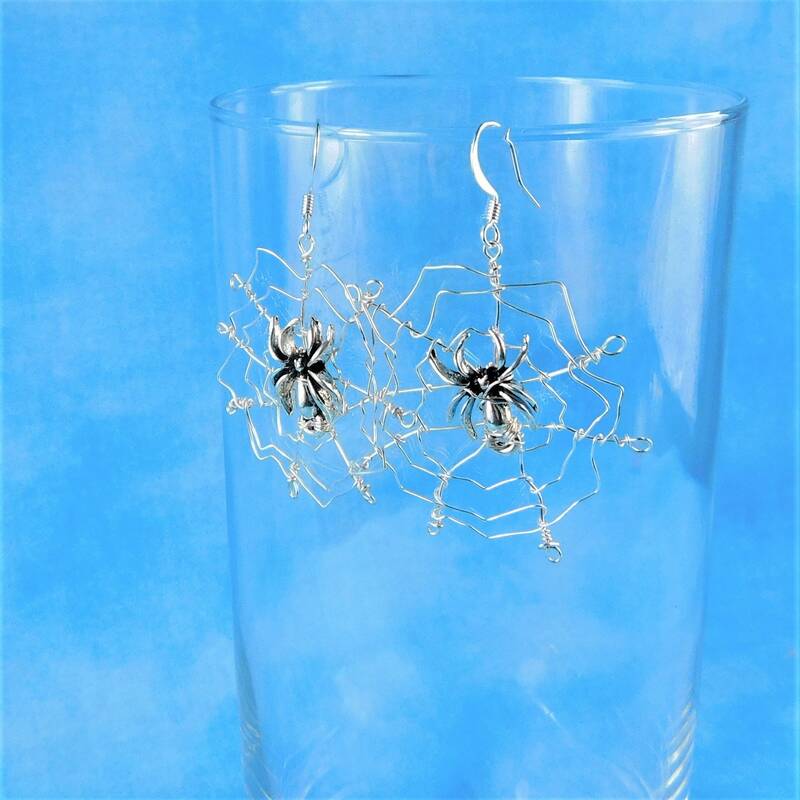 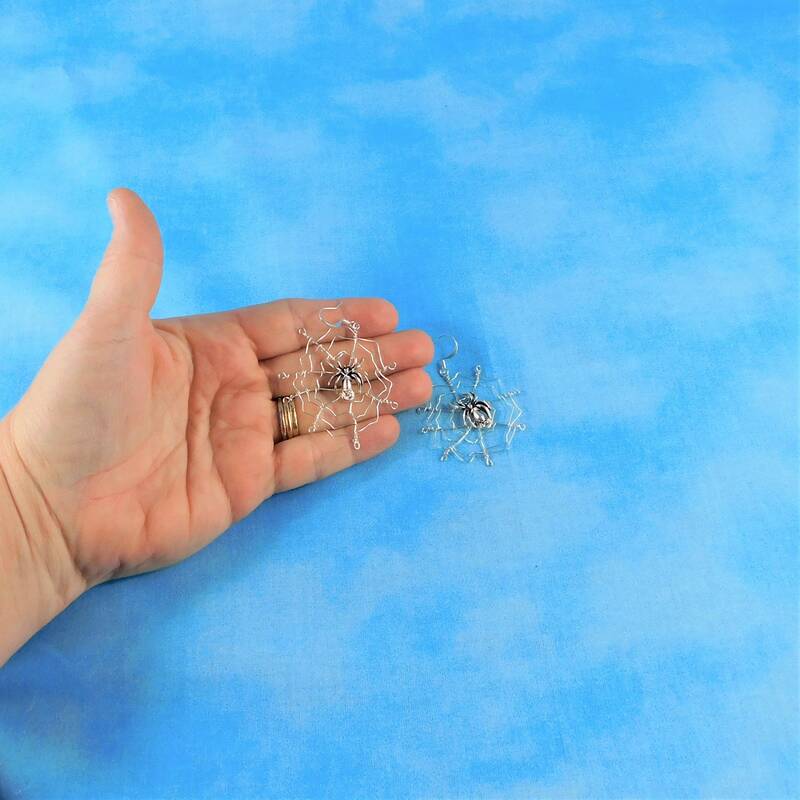 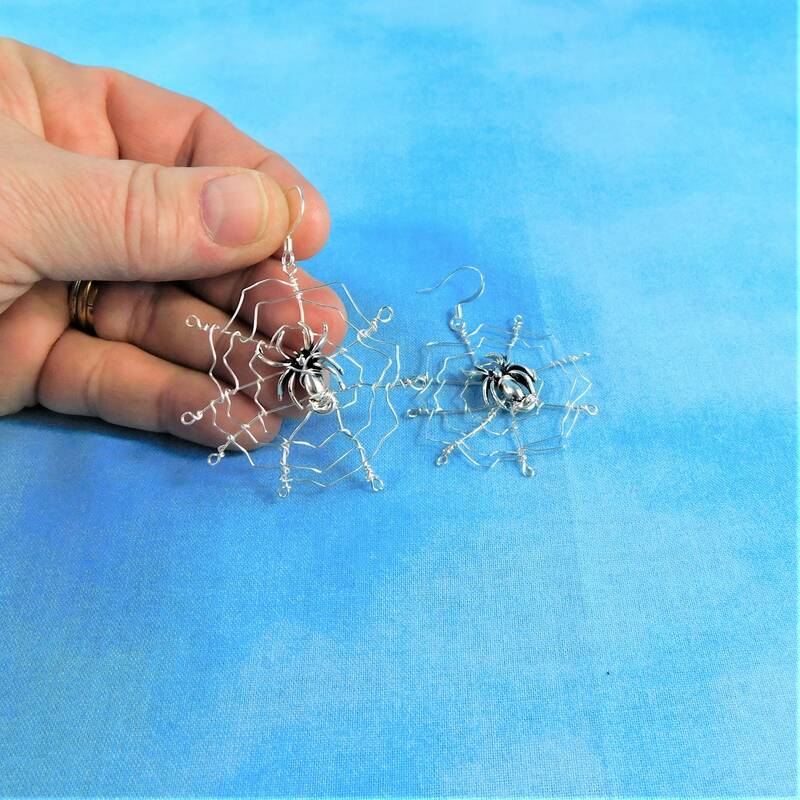 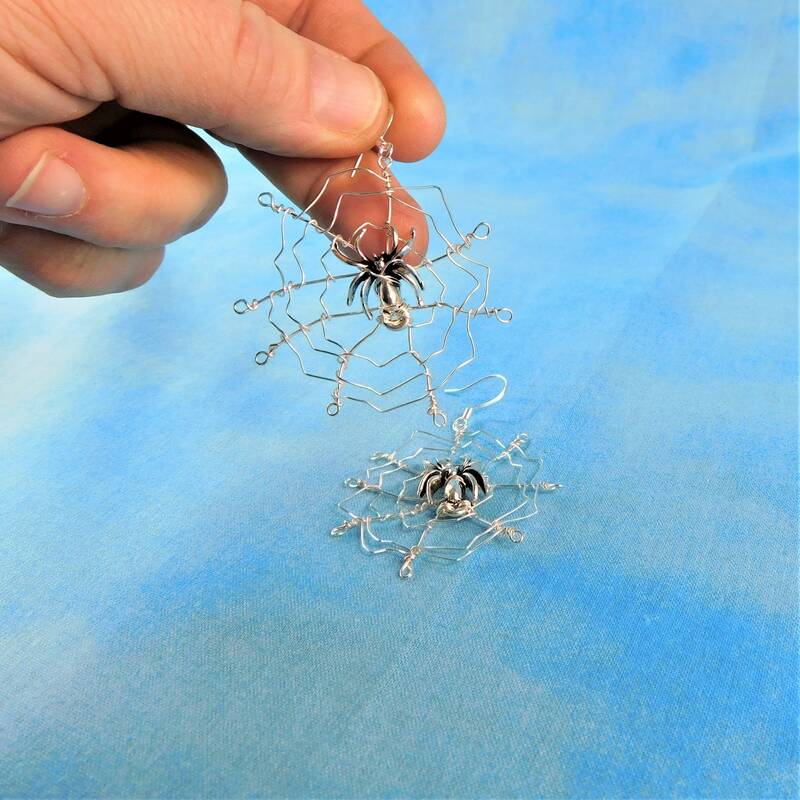 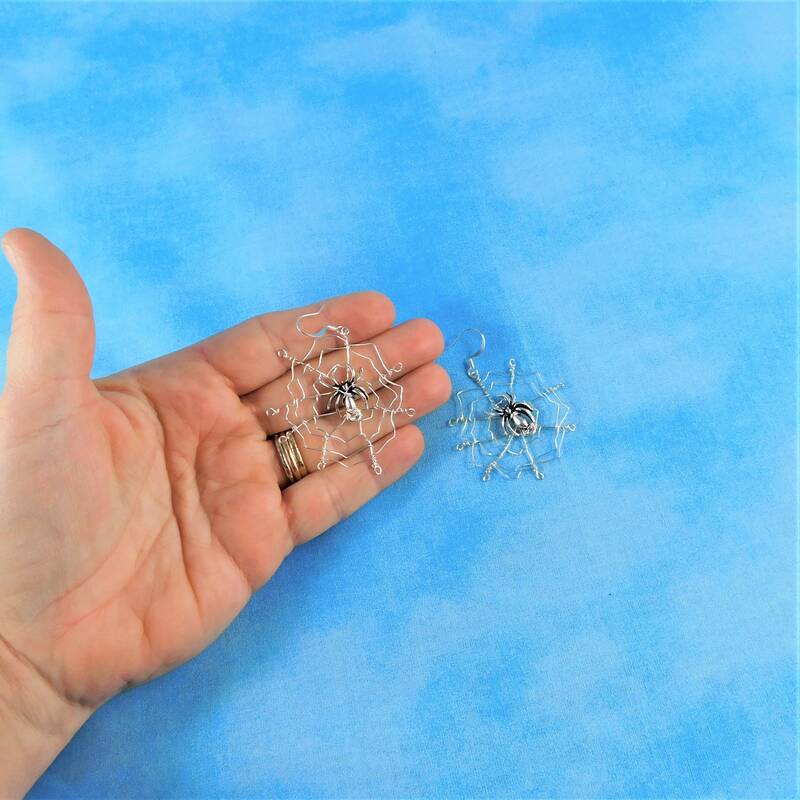 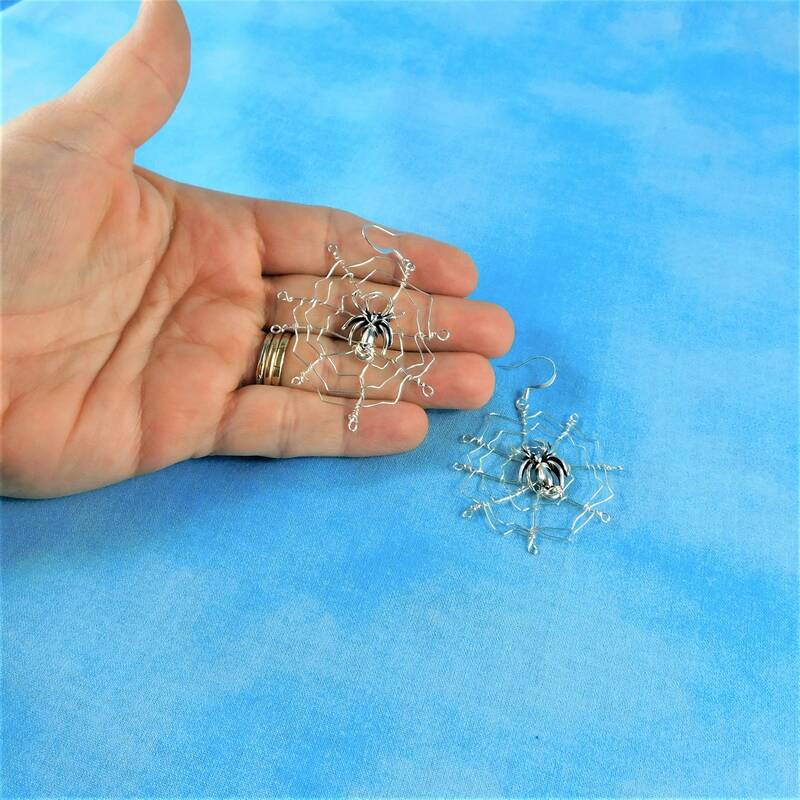 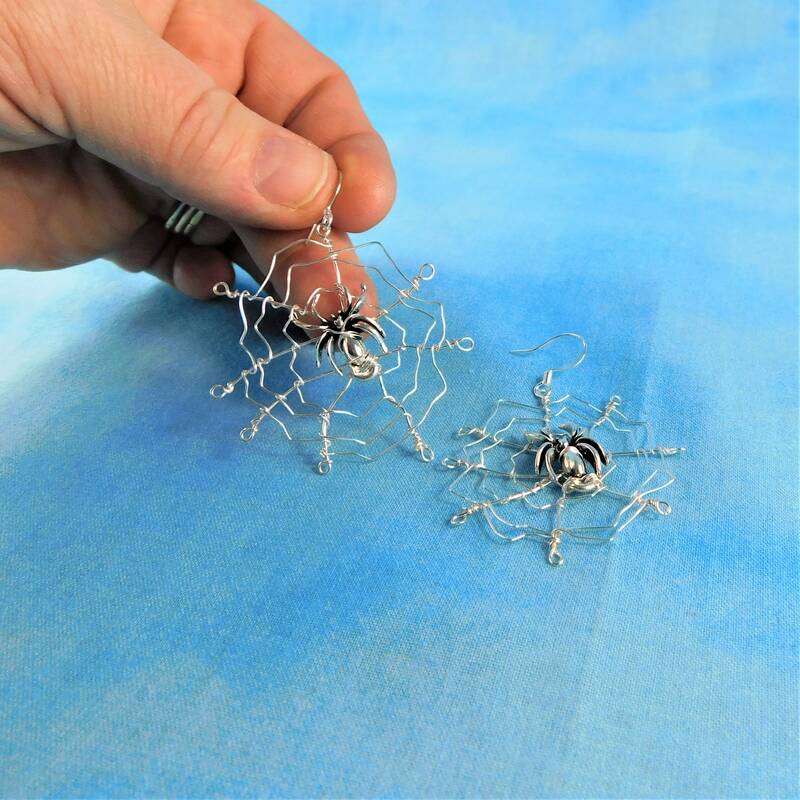 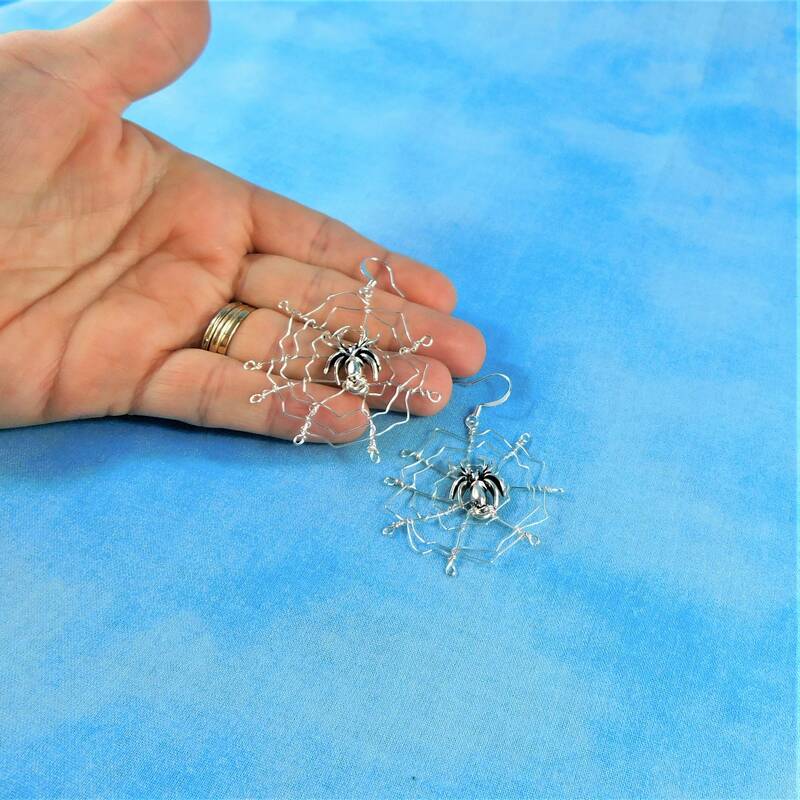 Non tarnish fine silver over copper wire is hand sculpted and shaped into spider webs, and spiders are tucked within the web, awaiting their prey, creating an artistically spooky pair of earrings. 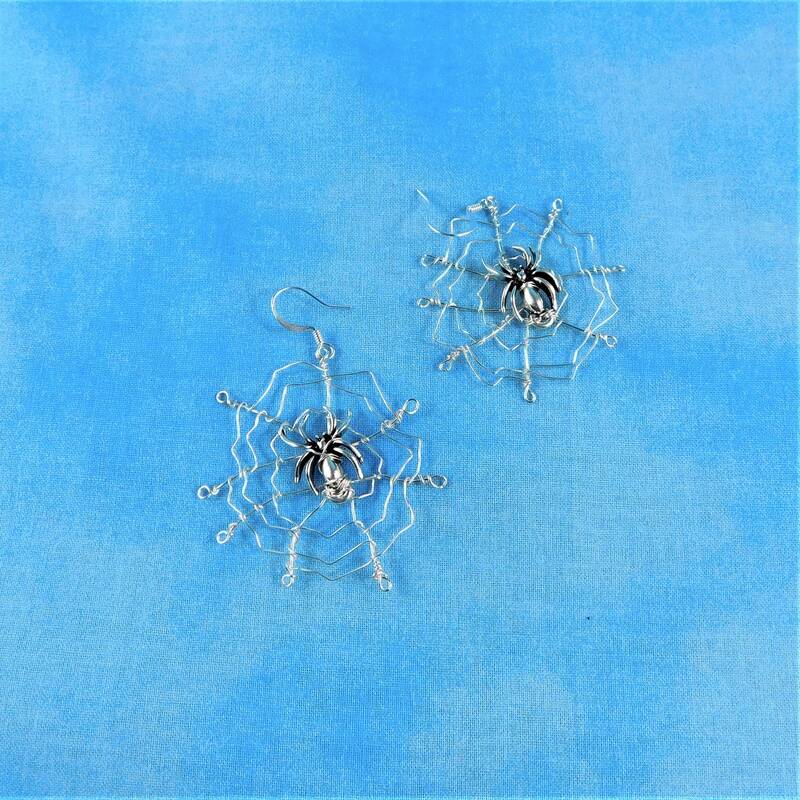 The spider webs hang 2 inches from the bottom of a the ear wires. 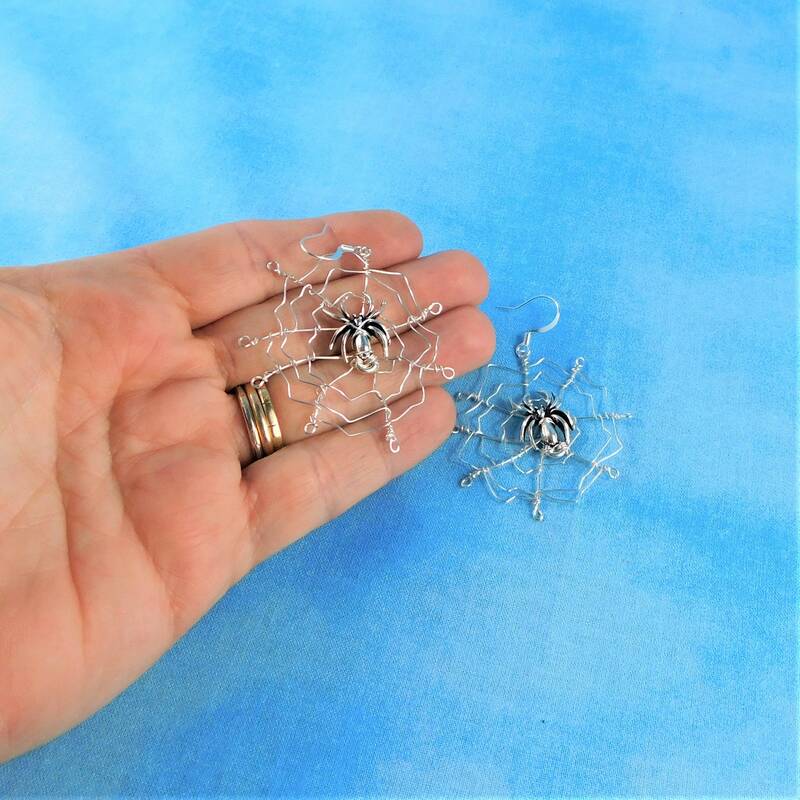 These artisan crafted dangle earrings are large and fun, lightweight and easy to wear, and are made one pair at a time.